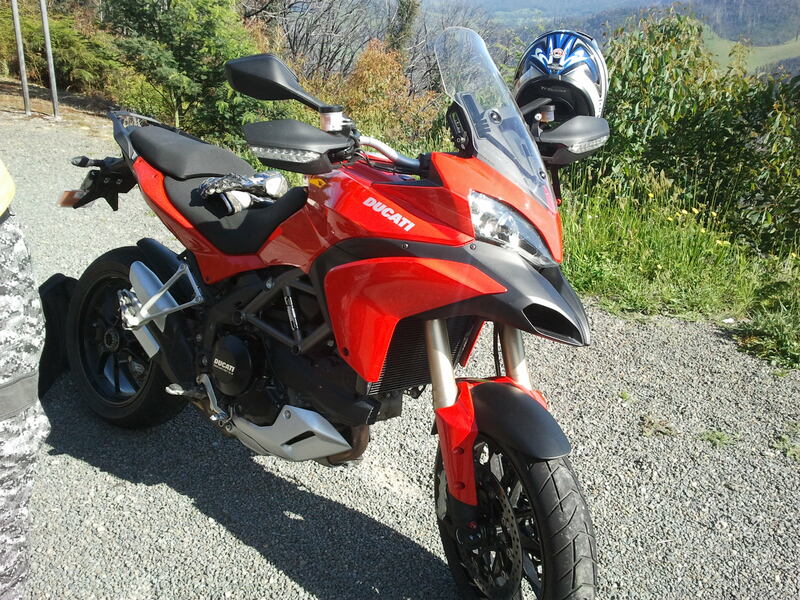 I must confess, it was the agility and corner speed of the Aprilia Dorsoduro that inspired me to move away from sports bikes for public road fun and get a multipurpose toy…with more power! 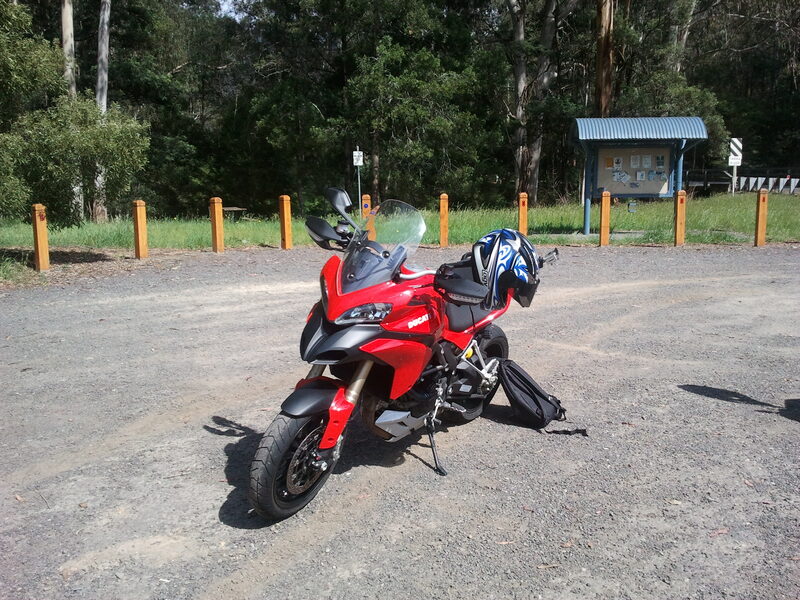 The ride was quick up and down on the Reefton and Black Spurs, just long enough to get me comfortable enough to scrape my toe sliders…nice! 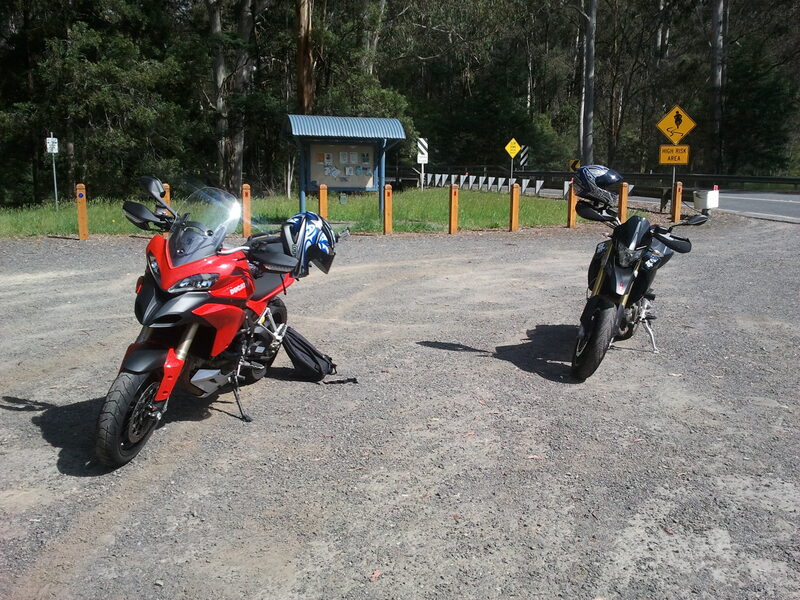 Notice the road sign in the background…the beginning of fun overload! 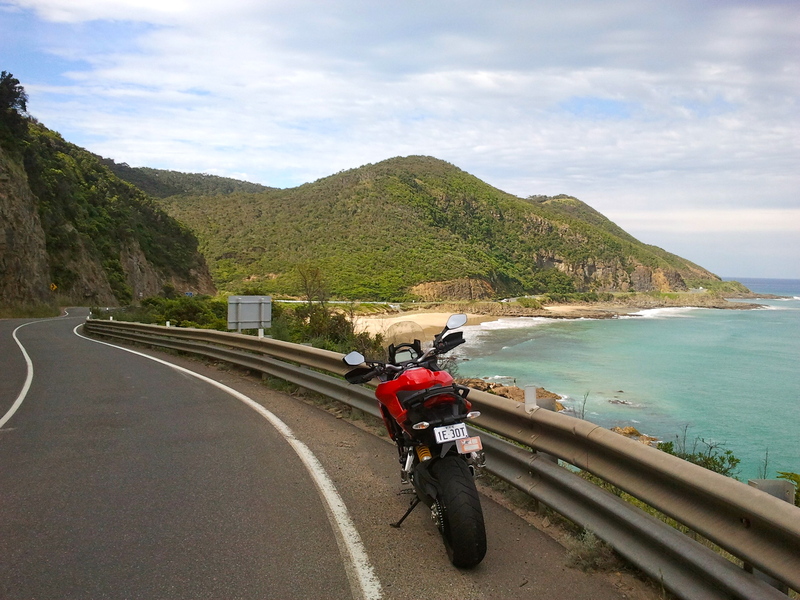 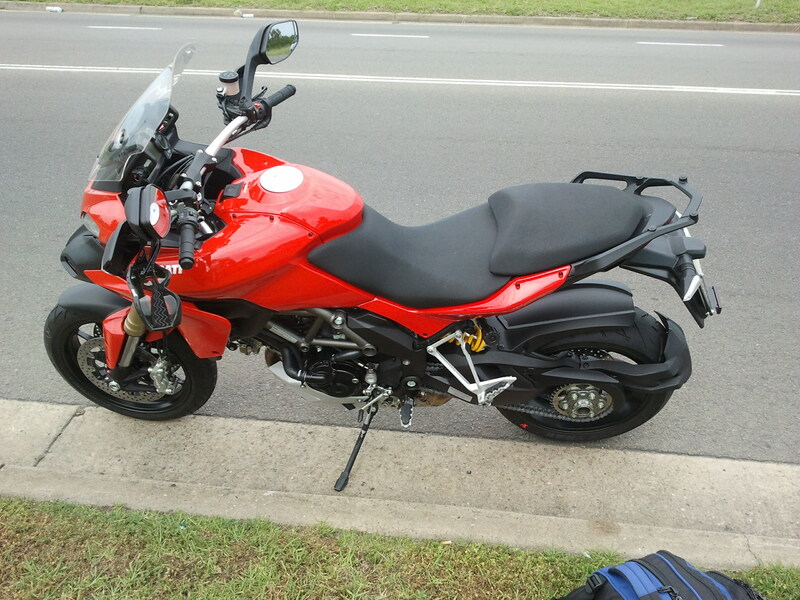 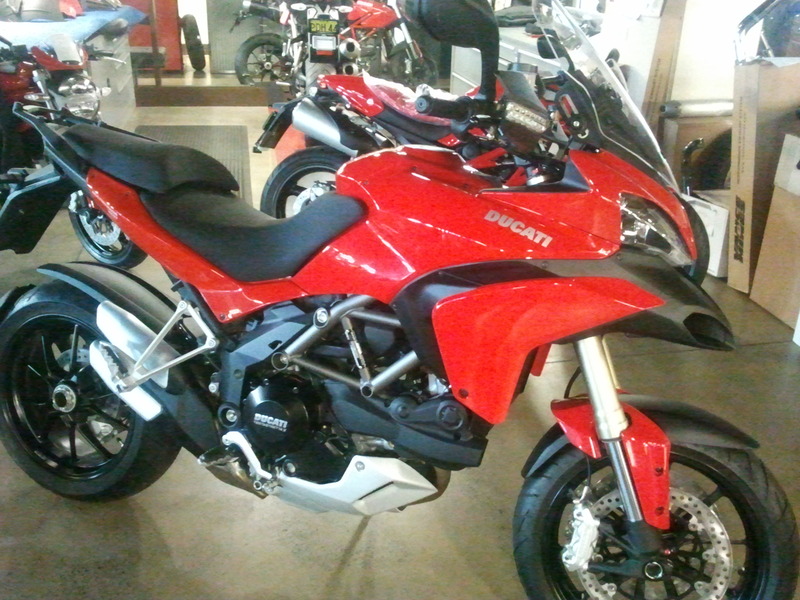 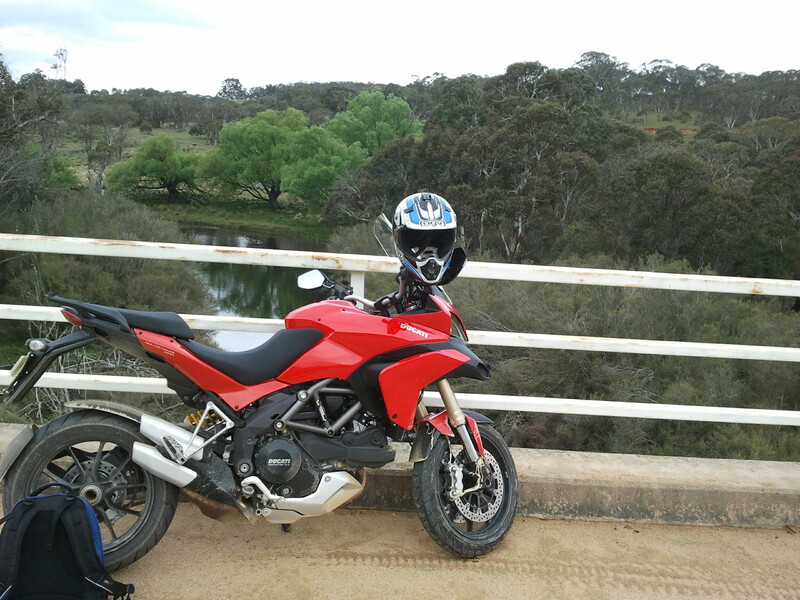 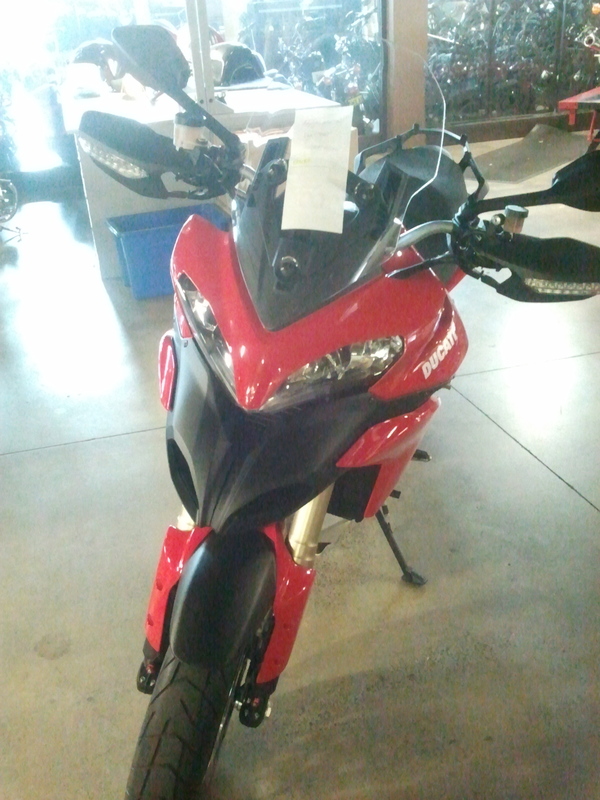 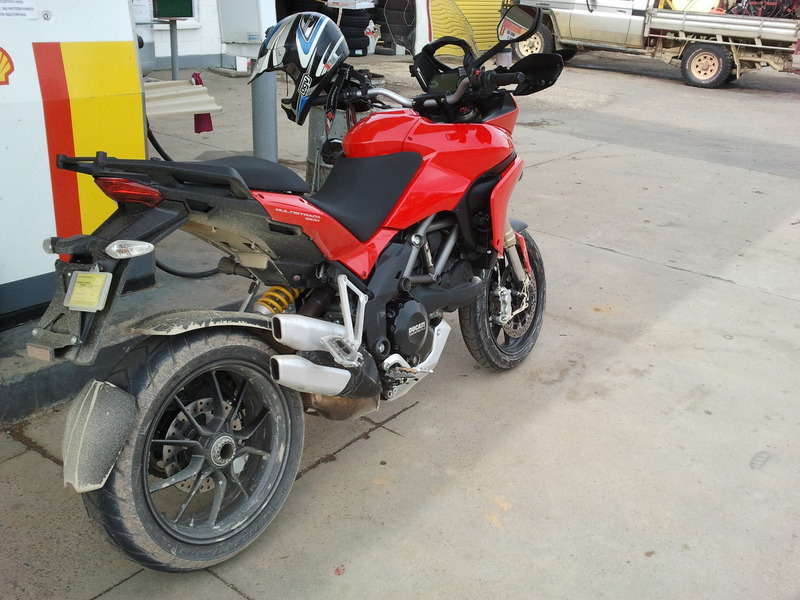 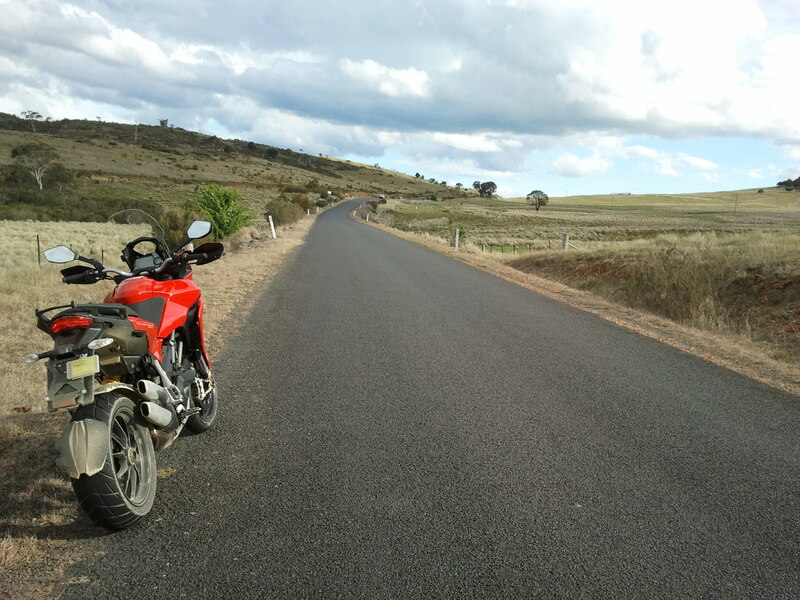 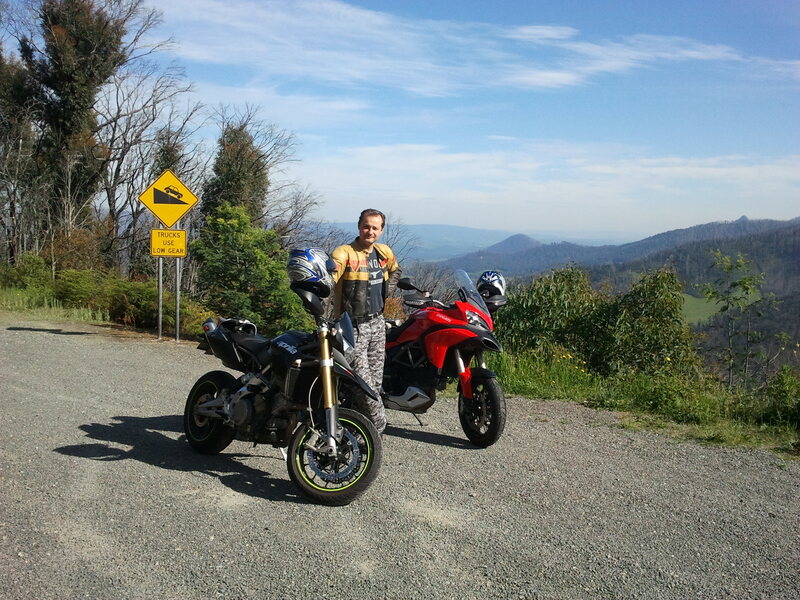 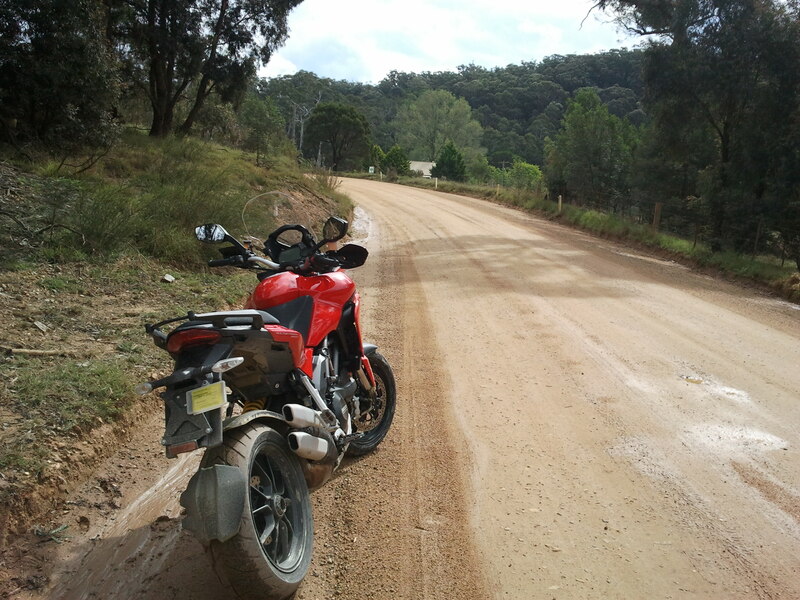 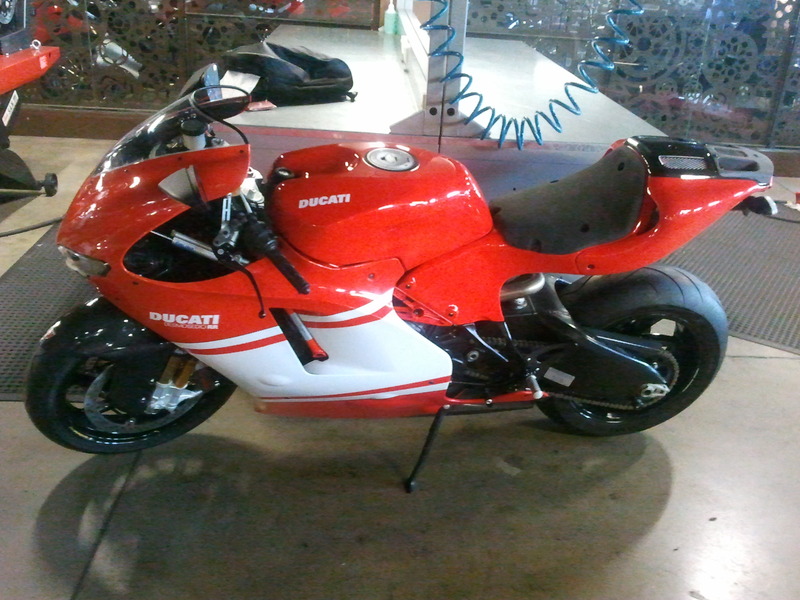 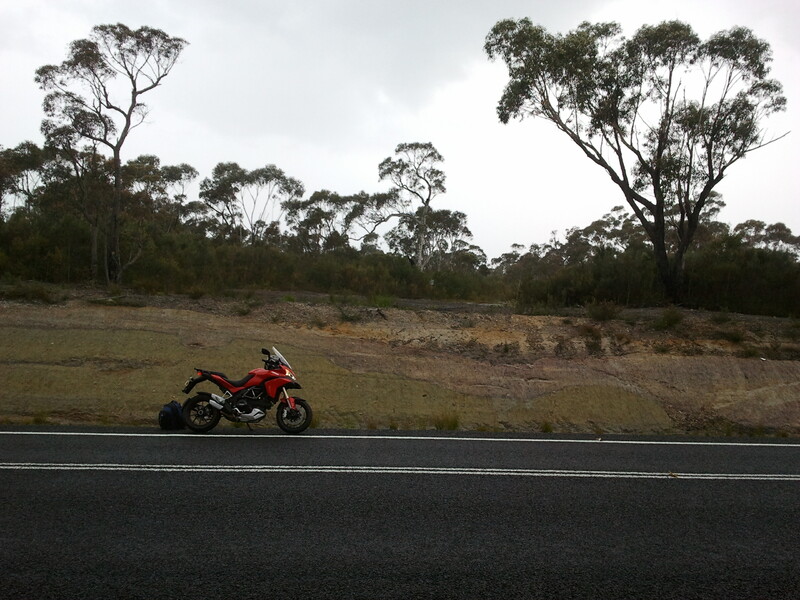 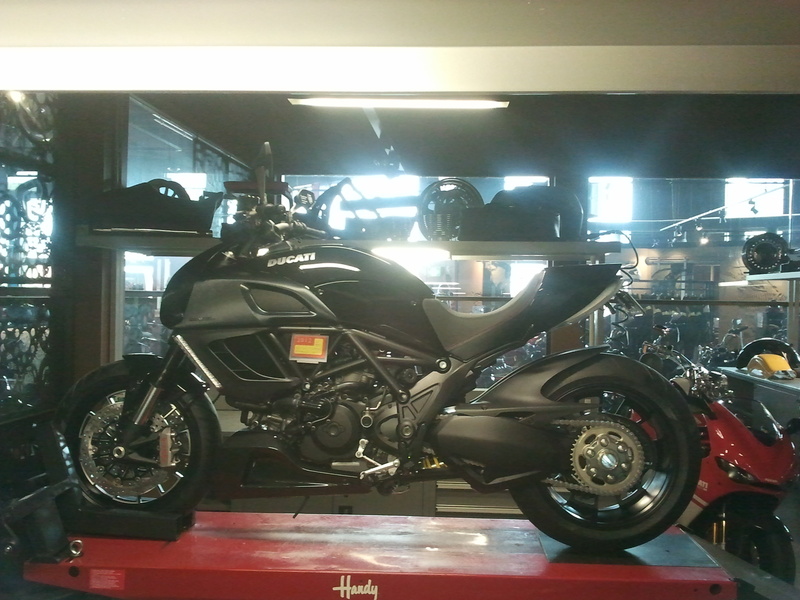 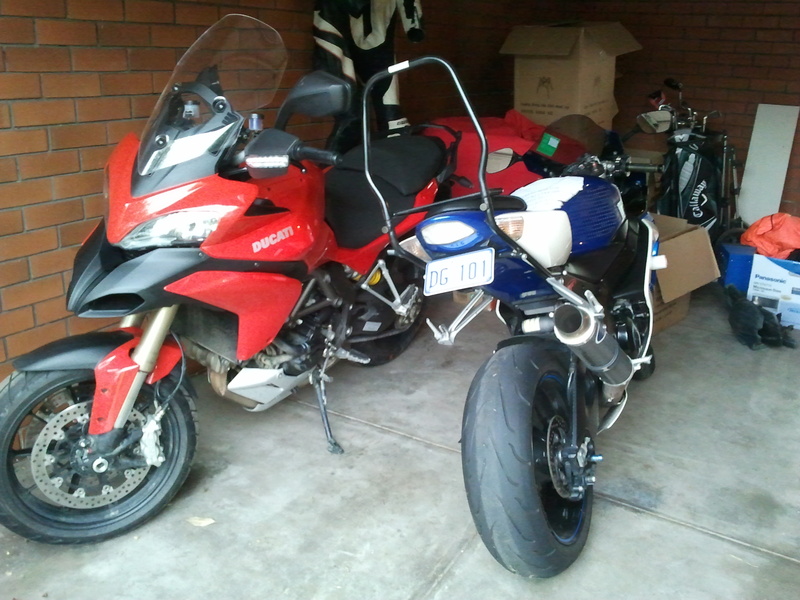 BTW I will be using the Multistrada as the weapon of choice for the Australia ride scheduled for December 20012 and January 2013. 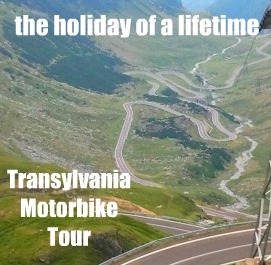 I am in the process of finalising the details, so if you’d like to attend, please help me complete a quick survey under this link. 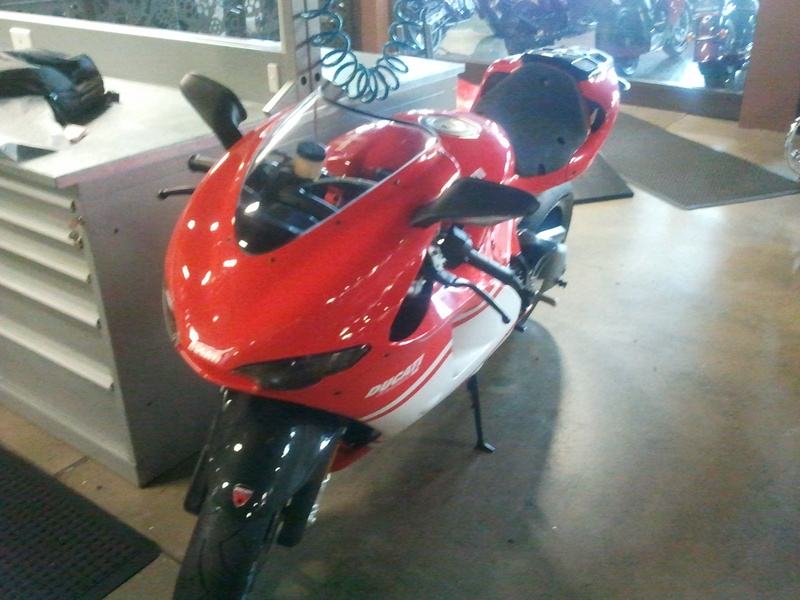 This would help me tremendously with putting together the best ride possible.